The Royal Wedding is just hours away! 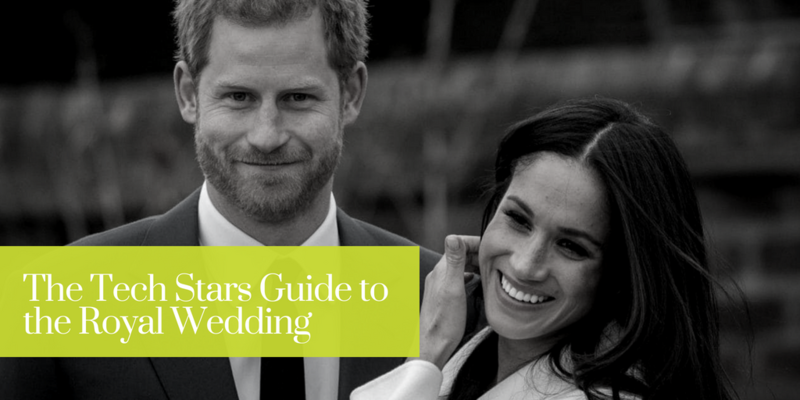 So in honor of the event, we decided to dedicate this edition of Friday Faves to Prince Harry and Meghan Markle and highlight some of the awesome tech things happening around the wedding! The TODAY Show released it’s Royal Wedding Snapchat lens so for all those waking up early for the festivities, make sure you check it out so you and a buddy can join in the fascinator fun! Just open Snapchat, scan the yellow Snapcode at the top of the article, press and hold your thumb over the Snapcode and a pop-up box will unlock the lens. Enjoy! When you compare the frequency and engagements (pun intended) of the Royal Wedding mentions on various social media platforms, Pinterest was a clear winner. That might surprise some of you when you consider that FB has a much larger audience, to begin with. However, since 70% of Pinterest users are women and it’s considered the #1 resource for wedding planning, it’s not shocking the Royal Wedding is being ‘pinned’ like crazy on Pinterest. While there will be many options for streaming and watching the Royal Wedding tomorrow if you want the official look at the ceremony and procession, you can find it on both YouTube and Facebook for free on the British Royal Family’s official page and channel. For more social sites to follow along with throughout the day, check out the above article for more suggestions! Worried you won’t know the who’s who of the wedding guest at the Royal Wedding? Well, there’s an aptly named service called “Who’s Who Live”, which uses Facial Recognition software courtesy of tech startups and Amazon Web Services (AWS) that will offer just the insight you need. Sky News will broadcast the wedding with names of the guest as subtitles. This technology is considered first of its kind technology, we’re just hoping the hats and fascinators won’t throw it off!